Adam Andretti (born March 24, 1979) is an American racing driver. He has raced in sports cars, Indy Lights, NASCAR, and Speed Energy Formula Off-Road. He has been competing in the Trans-Am Series since 2014. Indy Lights is an American developmental automobile racing series sanctioned by IndyCar, currently known as Indy Lights Presented by Cooper Tires for sponsorship reasons. Indy Lights is the highest step on the Road to Indy, a programme of racing series leading up to the IndyCar Series. The Indy Lights series has been promoted by Anderson Promotions since 2014, which also manages the Road to Indy programme. The Speed Energy Formula Off-Road presented by Traxxas is an American off-road racing series. The series was formed by former IndyCar and NASCAR driver Robby Gordon in 2013. Sanctioned by the United States Auto Club (USAC), the Trucks originally competed primarily in American football stadiums, but in 2014 began racing mostly on street circuits. He is the younger brother of veteran NASCAR racer John Andretti, nephew of Indianapolis 500 winner Mario Andretti and first cousin to IndyCar champion Michael Andretti and Jeff Andretti. He is the first cousin once-removed to IndyCar driver Marco Andretti. His father Aldo Andretti, Mario's twin brother, retired from driving race cars after nearly dying in an accident. Adam married Tabitha Eve on November 3, 2007. As of 2017, they reside in Brownsburg, Indiana. Andretti is a graduate of the Skip Barber Racing School. John Andrew Andretti is an American race car driver. He is the older brother of racer Adam Andretti, nephew of Indianapolis 500 winner Mario Andretti, and first cousin to IndyCar champion Michael and Jeff Andretti. He is also the first cousin once-removed to IndyCar driver Marco Andretti. His father Aldo Andretti, Mario's twin brother, retired from driving a race car after he nearly died in an accident. He has won in CART, IMSA GTP, Rolex Sports Car Series, and NASCAR. The Indianapolis 500-Mile Race is an automobile race held annually at Indianapolis Motor Speedway (IMS) in Speedway, Indiana, United States, an enclave suburb of Indianapolis, Indiana. The event is held over Memorial Day weekend in late May. It is contested as part of the IndyCar Series, the top level of American Championship Car racing, an open-wheel open-cockpit formula colloquially known as "Indy Car Racing". The name of the race is often shortened to Indy 500, and the track itself is nicknamed "the Brickyard", as the racing surfacing was paved in brick in the fall of 1909. Andretti's racing career started in 1994 at the age of 15 with the help of his brother John, who helped Adam obtain a ride in the new half-scale Mini Cup Stock Car series, driving for Terry Lingner of Lingner Group Productions at the Velodrome in Indianapolis. He showed promise by winning four races in 1995 and finishing fourth in the series championship. After his stint in the Mini Stocks, Andretti raced karts. His brother Mark bought him a 125cc shifter kart and they raced for the next two years in the SKUSA series. In 1998, he finished second at the Formula C World Karting Championship held in Charlotte, North Carolina. He also ran in the 24 Hours of Daytona, an event sponsored by the Grand American Road Racing Association. Kart racing or karting is a variant of motorsport road racing with small, open-wheel, four-wheeled vehicles called karts, go-karts, or gearbox/shifter karts depending on the design. They are usually raced on scaled-down circuits. Karting is commonly perceived as the stepping stone to the higher ranks of motorsports, with former Formula One champions such as Sebastian Vettel, Nico Rosberg, Ayrton Senna, Lewis Hamilton and Michael Schumacher beginning their careers in karting. The 24 Hours of Daytona, currently known as the Rolex 24 At Daytona for sponsorship reasons, is a 24-hour sports car endurance race held annually at Daytona International Speedway in Daytona Beach, Florida. 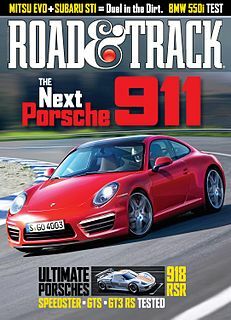 It is run on a 3.56-mile (5.73 km) combined road course, utilizing portions of the NASCAR tri-oval and an infield road course. Since its inception, it has been held on the last weekend of January or first weekend of February as part of Speedweeks, and it is the first major automobile race of the year in the United States. It is also the first race of the season for the WeatherTech SportsCar Championship. In 2000, Andretti drove the No. 12 car in the short-lived United States Formula 3 Championship for Duesenberg Brothers Racing. He won a race and finished third in the series points championship. Then in 2001 and 2002, he drove in NASCAR's Featherlite Southwest Series. In 2003, Andretti drove a Corvette at Sebring Raceway in the SPEED World Challenge Series. He drove in the 2004 Rolex 24 Hours of Daytona. The Chevrolet Corvette, known also as the Vette or Chevy Corvette, is a front engine, rear drive, two-door, two-passenger sports car manufactured and marketed by Chevrolet across more than sixty years of production and seven design generations. As Chevrolet's halo vehicle, the Corvette is widely noted for its performance and distinctive plastic — either fiberglass or composite — bodywork. Since then, he has served as a racing instructor for Road & Track magazine and some driving schools, including the Richard Petty Driving Experience. Richard Lee Petty, nicknamed The King, is a former NASCAR driver and voice actor who raced in the Strictly Stock/Grand National Era and the NASCAR Winston Cup Series. He won the NASCAR Championship seven times, winning a record 200 races during his career, winning the Daytona 500 a record seven times, and winning a record 27 races in the 1967 season alone. Statistically, he is the most accomplished driver in the history of the sport and is one of the most respected figures in motorsports as a whole. He also collected a record number of poles (127) and over 700 Top 10 finishes in his 1,184 starts, including 513 consecutive starts from 1971–1989. Petty was the only driver to ever win in his 500th race start, until Matt Kenseth joined him in 2013. He was inducted into the inaugural class of the NASCAR Hall of Fame in 2010. Andretti made his Indy Pro Series debut at Chicagoland Speedway on September 9, 2007. His race ended with an altercation with IndyCar veteran Jimmy Kite. 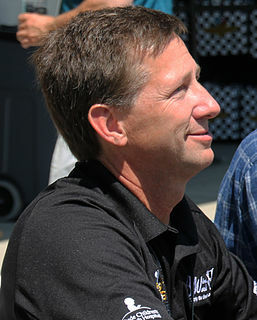 Andretti announced after the race that he would compete in a full Indy Pro Series season in 2008. On December 17 he announced that he had signed a deal with the new FuZion Autosport team for the upcoming season. However, the team and Andretti failed to participate in any league-sponsored test sessions or enter any races. Jimmy Kite is a retired American race car driver. He debuted in the Indy Racing League IndyCar Series in 1997 and has competed in 34 IndyCar races, including five Indianapolis 500s. In 2005, he intended to compete in the NASCAR Craftsman Truck Series and he made four starts before being called to replace the injured Paul Dana for Hemelgarn Racing in the IRL, where he completed the season after the Indy 500. In 2014, he became the first member of the Andretti family to compete in the Trans Am Series, doing so regularly in the TA2 class. He has raced a Camaro, a Mustang, and a Challenger, picking up 6 wins and finishing second in points twice. Lake Chambers Speed is an American stock car racing driver. Now retired, he formerly competed in the NASCAR Winston Cup Series, scoring one career win in 402 starts. Massimiliano "Max" Papis is an Italian professional motorsport driver who has competed in several top-level motorsports events such as Le Mans 24 Hours, Formula One and Champ Car. He has three Champ Car victories. He is the son-in-law of Emerson Fittipaldi. Papis also currently drives in the NASCAR Whelen Euroseries. George Dario Marino Franchitti, MBE is a British former racing driver from Scotland. He is a four time IndyCar Series champion, a three-time winner of the Indianapolis 500 as well as a winner of the 24 Hours of Daytona (2008). Robert W. Gordon is an American racecar driver. He has raced in NASCAR, CART, IndyCar, Trans-Am, IMSA, IROC and Dakar Rally. He currently competes in the Speed Energy Formula Off-Road series, a series that he had created in 2013. Jeff Andretti is a former American race car driver. He competed in CART, and was the series' Rookie of the Year in 1991. Casey James Mears is an American professional stock car racing driver. He currently competes part-time in the Monster Energy NASCAR Cup Series, driving the No. 27 Chevrolet Camaro ZL1 for Germain Racing. A former winner of the Coca-Cola 600, Mears is the nephew of four-time Indianapolis 500 winner Rick Mears and the son of IndyCar and off-road veteran Roger Mears. He also works as a NASCAR analyst for Fox Sports 1. Marco Michael Andretti is an American auto racing driver who drives the No. 98 car for Andretti Herta Autosport in the IndyCar Series. He is the third generation of the famous Andretti racing family. David "Davey" Jay Hamilton is a race car driver in the Indy Racing League IndyCar Series and Speed Energy Formula Off-Road. He has made 56 series starts and while never winning a race, finished second 3 times. He placed second in series points in the 1996–1997 season and again in 1998 season. Alex Stewart Lloyd is a former British motor racing driver. He was close friends with multiple Formula One World Champion Lewis Hamilton through his karting and early racing days. James Davison is an Australian professional race driver who drives an Aston Martin Vantage GT3 in the Pirelli World Challenge. Sebastián Saavedra is a Colombian racing driver from Bogotá. In 2014, he drove for KVSH Racing in the Verizon IndyCar Series before being replaced by former GP2 Series driver Stefano Coletti. Ernesto José "E. J." Viso Lossada is a Venezuelan professional racing driver. He has raced in the 2005 and 2006 GP2 Series seasons, and has also driven the third car for Spyker MF1 Racing. In 2007 he competed in the GP2 Series for Racing Engineering. In 2014 he made his season debut for the Stadium Super Trucks in the Long Beach Grand Prix. He most recently drove for Andretti Autosport in the IndyCar Series. Matthew Chase Brabham is an American/Australian racing driver, best known for being the 2013 champion of the Pro Mazda Championship. He currently competes full-time in Speed Energy Formula Off-Road, driving the No. 83 truck. Brabham is a third-generation racing driver; he is the son of Geoff Brabham and the grandson of three time Formula One World Champion Sir Jack Brabham. Sheldon Creed is an American professional stock car racing driver. Nicknamed "The Showstopper", he currently competes full-time in the NASCAR Gander Outdoors Truck Series, driving the No. 2 Chevrolet Silverado for GMS Racing. He is a member of Drivers Edge Development. He grew up competing in off-road racing, and drove in the Speed Energy Formula Off-Road series from 2013 to 2017; he is a two-time series champion, having won in 2015 and 2016. ↑ Speed Energy Formula Off-Road (December 7, 2017). "@SSuperTrucks: "Adam Andretti will make his #stadiumsupertrucks debut December 15-16 at the Lake Elsinore Diamond Stadium in Lake Elsinore, CA."". Twitter . Retrieved March 4, 2018. ↑ "2017 Lake Elsinore Race 1". Speed Energy Formula Off-Road . Retrieved February 7, 2018. ↑ "2017 Lake Elsinore Race 2". Speed Energy Formula Off-Road . Retrieved February 7, 2018. ↑ "2016 NASCAR K&N Pro Series East Results". Racing-Reference. Retrieved March 4, 2018. ↑ "2017 NASCAR Pinty's Series Results". Racing-Reference. Retrieved March 4, 2018. ↑ "2017 Overall Point Standings". Speed Energy Formula Off-Road . Retrieved January 28, 2019. ↑ "2018 Overall Point Standings". Speed Energy Formula Off-Road . Retrieved January 28, 2019.